The SKLO is the umbrella organization for religious and philosophically oriented student associations and organizations in Groningen. We would like to give every student in Groningen the oppertunity to come to grips with the big questions of life, by stimulating and facilitating initiatives that foster discussion about religious and philosophically oriented issues. The SKLO encourages students to reflect on who they are, on their visions of life and on their role in society. With a varied programme of activities we aim to contribute to the students’ intellectual and spiritual development. Most of the SKLO activities are in Dutch, but fortunately HOST and the student parish St. Augustinus organize English activities for international and Dutch students. HOST (hospitality for overseas students) is a platform for international students and young professionals in Groningen, so make sure to visit their website or join their Facebook group to keep informed about their upcoming events. And St. Augustinus is a Roman Catholic student parish, that organizes various activities that are open for students, PhD’s and young professionals. You can visit their website for more information, or follow their Facebook page! And don't forget to keep an eye on our program for upcoming lectures or events in English! HOST-IFES is an international student association that aims to create a ‘home away from home’ for international students and young professionals in Groningen. 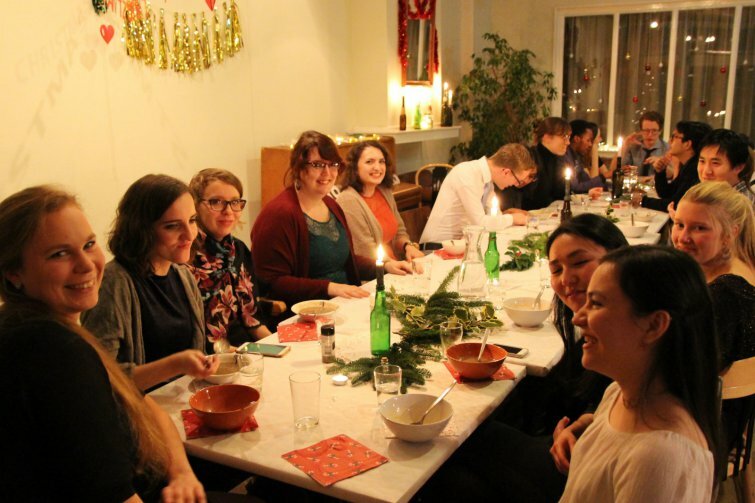 HOST is an acronym for Hospitality for Overseas Students and every Friday night HOST organizes an activity in which both Dutch and internationals come together. Examples of activities are Culture Nights, potluck dinners, movie nights etc, where hospitality, friendships and togetherness will always play a key role. We also organize a Language Exchange, a Culture Exchange and two weekends away per year. All of our activities are free and open to everyone. So if you are up for some fun with fellow international and Dutch students, check out our website or like our Facebook page for more information and events!